We headed to England, Arkansas on the 21st and set up the camper on the tower site. We have water and 110 electric, and Allen can walk to work! The bugs are horrendous out here and we barely get 3G service. We’ve found 3 places to eat in town, a Kroger straight out of the 1950s, and a liquor store in the next county over! 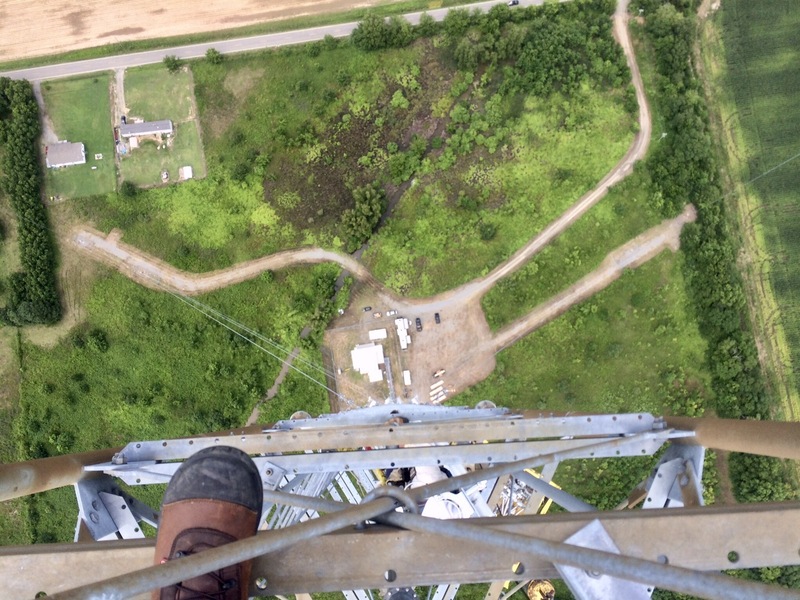 That’s Allen, Danny, Justin & Eric riding up in the pan to go put hangers on the tower to hold the new transmission line. I’ve been keeping busy helping my best friend with a golf tournament she is hosting in August. Brandi is an amazing woman. And I mean that with all my heart. 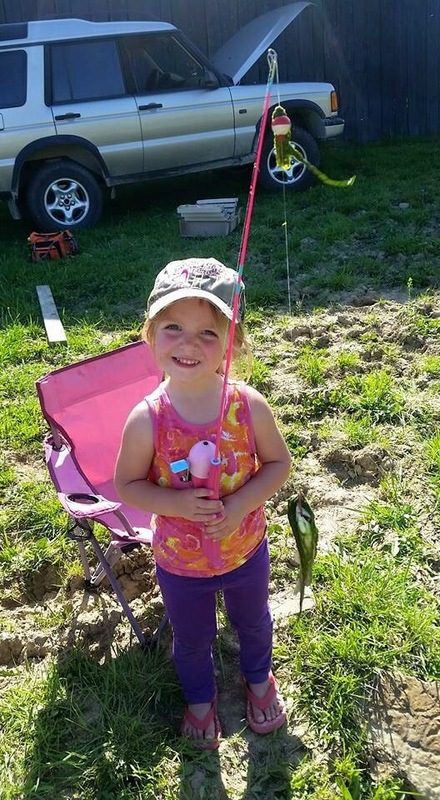 She established The Kentucky Chapter of The Cure Starts Now in honor of her daughter RaiLee Branam. RaiLee embarked on her short but ferocious one month battle with DIPG on October 6, 2016 at the tender age of 4. She left us all with just memories of her and her beautiful smile. RaiRai left an everlasting impression on anyone and everyone she crossed paths with, with her want to make you smile. 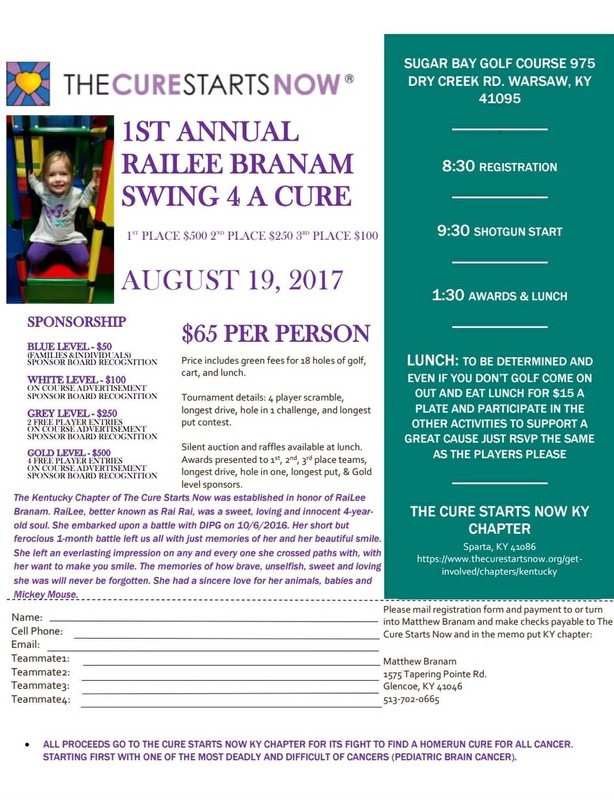 The Kentucky Chapter of the Cure Starts Now is hosting their 1st Annual RaiLee Branam Swing 4 A Cure golf tournament on August 19, 2017 at the Sugar Bay Golf Course in Warsaw, Kentucky. The golf tournament will feature a 4 player scramble, longest drive and putt contest, hole in one challenge, silent auction, raffle and lunch. All proceeds go to The Kentucky Chapter of The Cure Starts Now for its fight to find a homerun cure for all cancer starting first with one of the most deadly and difficult of cancers, pediatric brain cancer. The Cure Starts Now has over 29 chapters on 3 continents operating with less than 2% overhead, with 100% of tribute donations going to research funding 59 grants in 6 countries totaling over $7,300,000 since 2007. I’ve been doing what I can to find sponsors for the event and donations for the silent auction & raffle. If you have any ideas, or would like to donate, please contact me! I’m compiling a list to use for future events and to help anyone else who is having a fundraiser and looking for similar donations. You can check that out here if you’d like. This entry was posted in Life, Projects, RV, The Truck, Towers, Traveling and tagged 1st annual railee branam swing 4 a cure, arkansas, camper life, DIPG, donation request, england, fundraiser, golf tournament, living on site, planning a golf tournament, RaiLeeSTRONG, sponsorship, the cure starts now, the kentucky chapter of the cure starts now by Rachel Gillen. Bookmark the permalink.